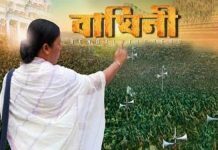 Siliguri: Trinamool supremo Mamata Banerjee has claimed that it is her formula on opposition political party unity which is leading to BJP’s defeat in one by-election after another all over India. 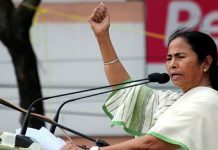 She has also maintained that the by-election results announced today is a bad omen for the BJP ahead of the Lok Sabha polls due next year. “I have been advocating this formula that whoever is stronger in a constituency should be back by the other parties. To the best of my knowledge, the by-poll this time was held in 11 Assembly constituencies spread over several states. Out of them, BJP has lost in 10 constituencies. This is a terrible signal to the BJP,” Banerjee said while addressing a news conference in Siliguri this afternoon. 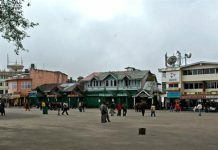 The Bengal Chief Minister is currently on a tour of Darjeeling region and will be flying back to Kolkata tomorrow. “Shiv Sena has given a good fight in Maharashtra; NCP has won. In Uttar Pradesh, the unity of Ajit Singh, Mayawati, and Akhilesh Yadav has resulted in BJP’s defeat. Jharkhand Mukti Morcha, RJD, and Congress whoever is in power wherever have done well. Overall this is the victory of the people. This is people’s mandate against communal politics,” Banerjee added. She said that even after sending Lalu Prasad to jail, BJP could not stop the victory of RJD. “This is because an injured tiger is more dreadful than a dead one. It is good that the regional parties are emerging stronger by the day,” she concluded.